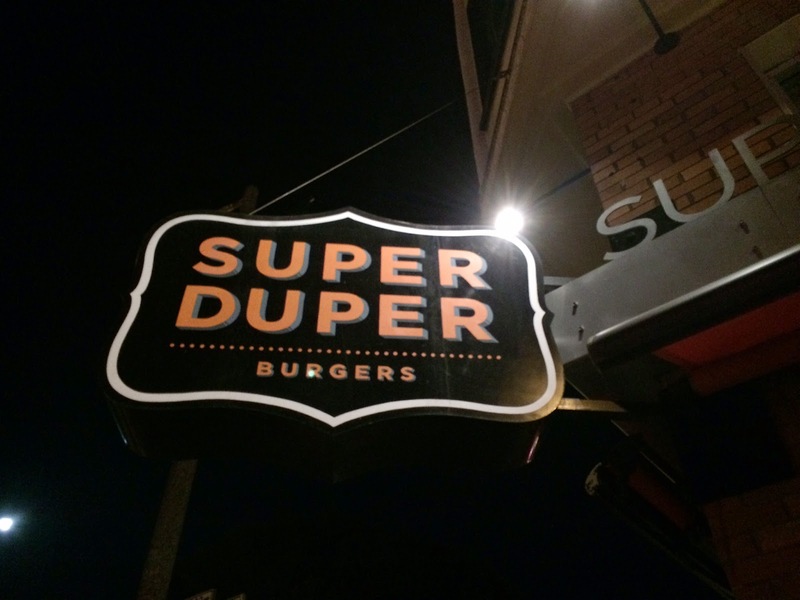 Last night, I met my host sister after almost 13 years of absence, and she and her boyfriend took me to a burger restaurant called "Super Duper Burgers." When I'm in the west coast, I go to IN-N-OUT because they don't exist on the east coast, then they said IN-N-OUT is good but Super Duper Burgers is much better and they consider it the best. They said there're 2 types of hamburgers and it's "Super Burger" and "Mini Burger." The difference is the patty; while Super Burger has 2 beef patties (4oz./113g each), Mini Burger contains 1 patty. On a large griddle, they're cooking many beef patties and the whole restaurant was filled with yummy scent. I was quite hungry and chose Super Burger and added cheese, tomato and onions. Their sauce is mayonnaise base, so I asked for no sauce. 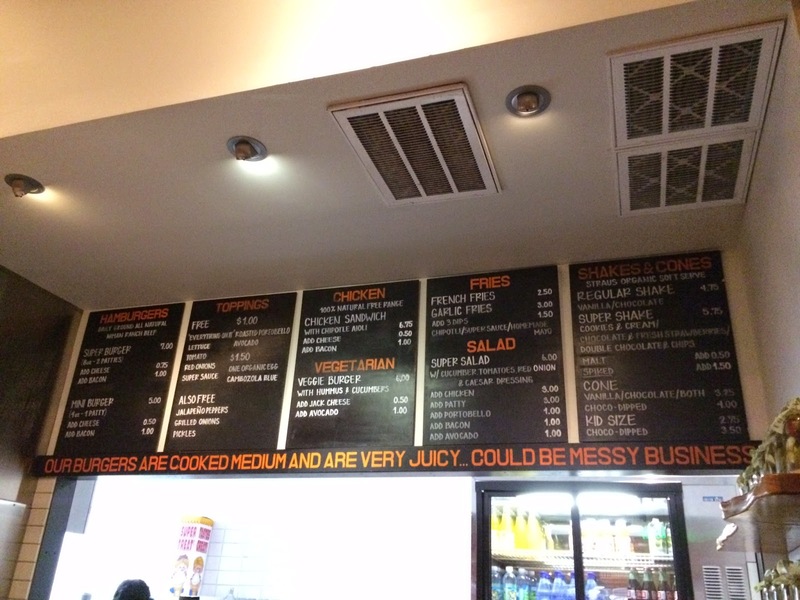 We also got regular fries and garlic fries, the latter of which is in the photo below. When the plates were brought, I could smell tasty garlic flavor, and it's fresh garlic and month aged cheddar on the fries. Fries were slightly thicker than those fries served at fast food chains, like McDonald's, but skinnier than that of poutines. It's very crispy outside and inside was moist, and both regular fries and garlic fries were really good. Here comes the Super Burger. The buns were seeded and fluffy, there's a leaf of leaf lettuce, a slice of tomato, and onions (that can't be seen). 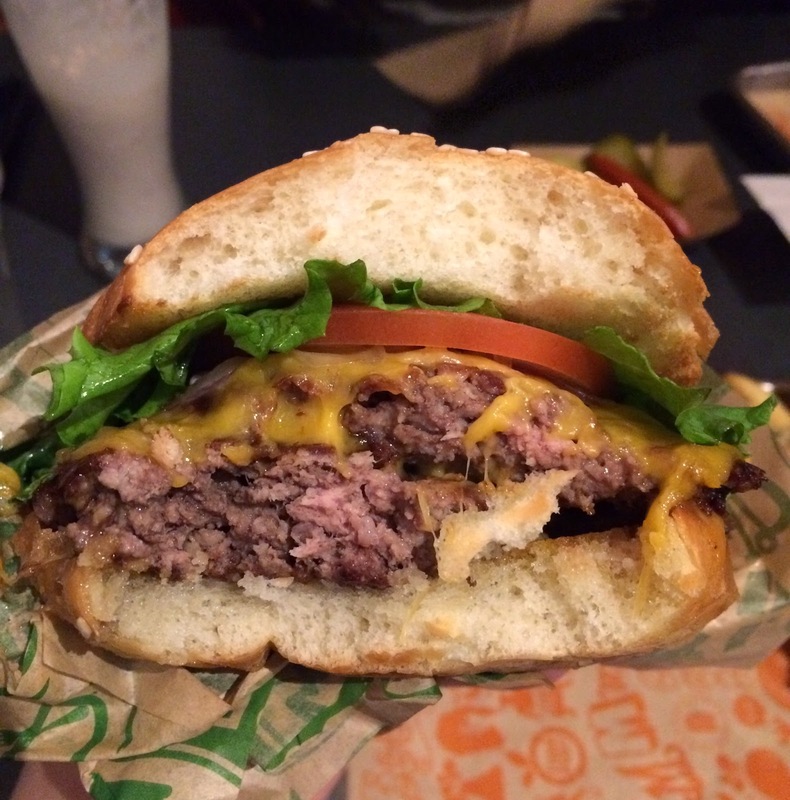 The patties were cooked to medium-welldone, and they're juicy and fragrant outside. Cheese was melted nicely and it tasted very good without the Super Sauce. I liked both IN-N-OUT and Super Burger respectively, and these are the difference that I've noticed. 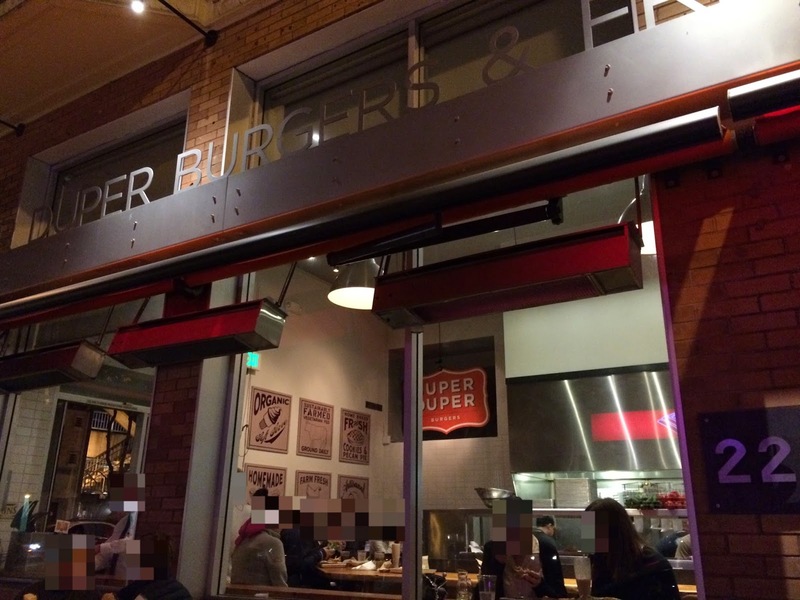 Buns; Super Duper uses sesame seeds buns and they're bouncier than IN-N-OUT. The buns come back up again while IN-N-OUT buns tend to stay shrunk once bitten. Lettuce; Super Duper lays a leaf of lettuce though IN-N-OUT put folded lettuce to add crunchiness. Sauce; I didn't have either of them, but both are mayonnaise base. 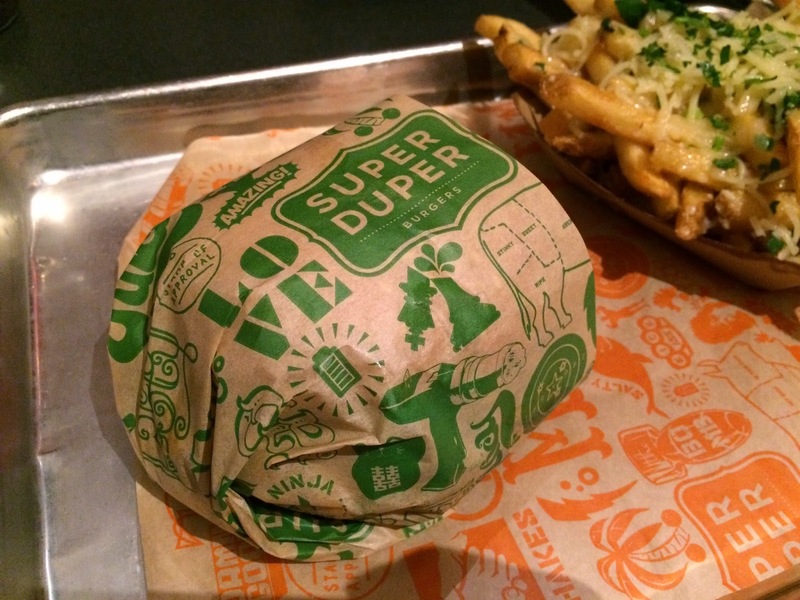 Cheese; Super Duper's tasted like cheddar, but IN-N-OUT uses yellow American. Fries; Super Duper cut them thicker and longer with crunchier surface, and IN-N-OUT prepares them into much skinnier and shorter fries and they're the least greasy fries. Varieties; Super Duper >>> IN-N-OUT, except secret menus, for example, Animal Style. Price; Super Duper >>> IN-N-OUT. 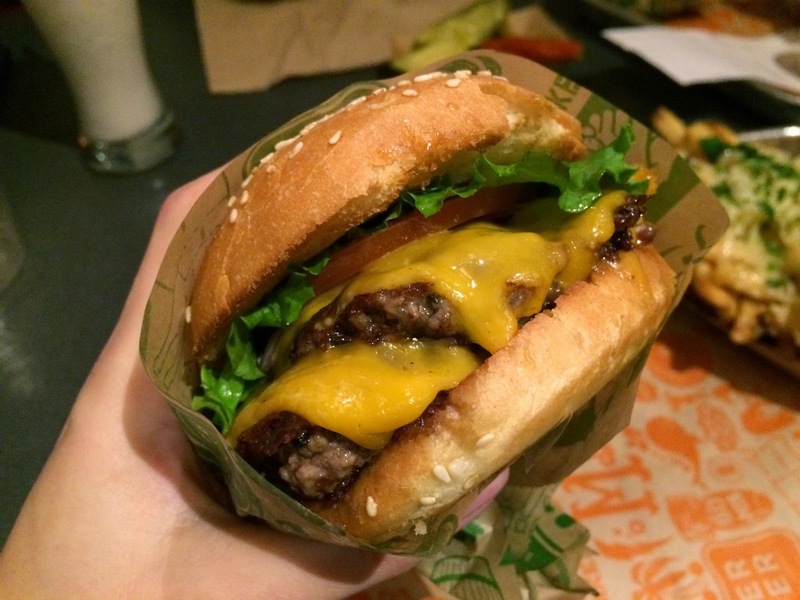 Other burgers in the U.S. I've reviewed are the following. Famous Star With Cheese From Carl's Jr.